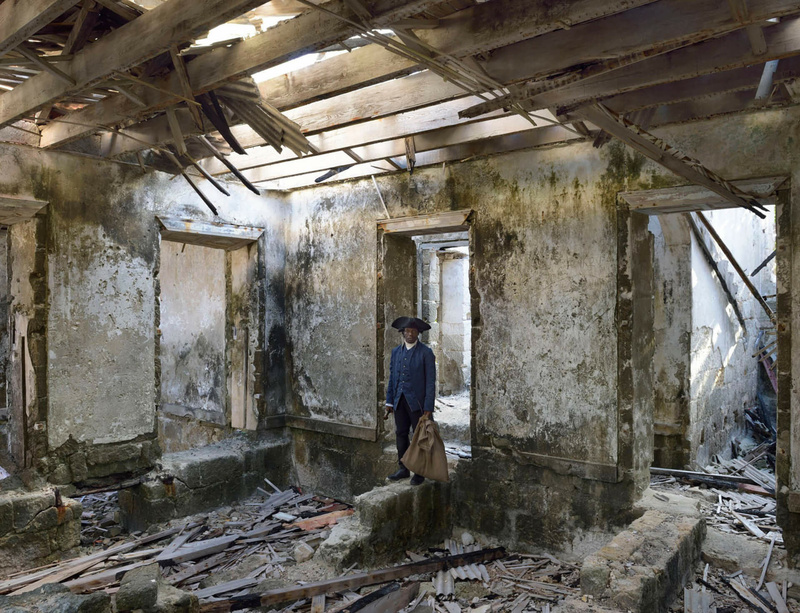 Auto Da Fé, John Akomfrah's two screen film installation first presented as part of his debut exhibition at Lisson Gallery, makes its Belgian premiere at the STUK Kunstencentrum from 22 March - 22 May 2016. Auto Da Fé, which translates to 'Acts of Faith', looks at migration through the lens of religious persecution. Presented as a poetic period drama, the film presents a series of eight historical migrations over the last 400 years, starting with the little known 1654 fleeing of Sephardic Jews from Catholic Brazil to Barbados. As the film develops, viewers are presented with tale after tale of populations being displaced along religious lines, right up to the present day migrations from Hombori, Mali and Mosul, Iraq. Religion, persecution and migration are, it seems, old and continuing bedfellows. The work was filmed on location in Barbados, but the landscape is deliberately anonymous, reflecting the universal nature of these stories. Auto Da Fe is presented next to Handsworth Songs (1986), an acclaimed work produced by the Black Audio Film Collective, which Akomfrah founded in the 1980s alongside artists David Lawson and Nina Gopaul. Handsworth Songs investigates the riots that took place in 1985 in Birmingham and London using a charged combination of archival material, sound design and collective recordings of the riots, both during and after.